Hello and welcome. Here is my second entry in the Blogger's Quilt Festival. It's my la passacaglia quilt, which is in the hand quilted category. This beautiful pattern was designed by Willyne Hammerstein, and is based on the Penrose star. The pattern is in Willyne's first Millefiori Quilts book. I English Paper Pieced (EPP) my quilt, and then hand quilted it with Aurifil 28 wt. Look at all those gorgeous threads!! I mainly used threads that matched the fabrics. I felt there was already so much going on in my quilt, the quilting didn't need to fight for attention too! It took me 18 months to make my quilt, and I learnt a lot of tips and tricks along the way. I have a full page dedicated to this quilt on my blog, and you can view it here. Finished size: approx 65" x 75"
Thank you for visiting my blog and reading about my la passacaglia. I love this quilt, and I've enjoyed sharing it with you. My other quilt in the Bloggers' Quilt Festival is my Honeycomb Spin and you can read about it here. 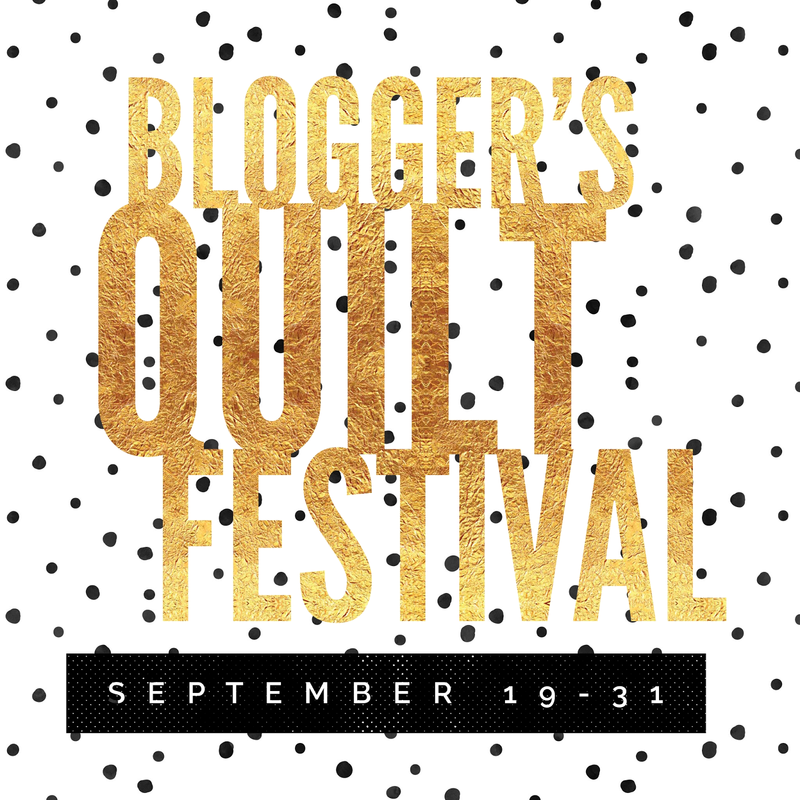 Voting isn't open yet, but I really encourage you to go and check out all the other quilts in the Bloggers' Quilt Festival. More and more will be added to the linkup until entries close on 24 September. Then voting will be open from 25 - 30 September. Winners will be announced on 1 October. It really is a great way to see a huge range of quilts from the comfort of your own home. So much labor in this quilt, beautiful work!! Great choice for the festival Wendy. Good luck! Wendy this quilt is gorgeous. I have admired it since you starting posting your progress. So much labor and love went into making it. It ashould be a favorite for years to come. Good luck in the quilt show. Wendy, this La Pass is nothing short of spectacular!! And you hand quilted it too!! It is beautiful! You will be getting my vote!! I could go on and on, but I'm sure you get the idea!! Congrats and best of luck!! Oh, this quilt is so beautiful! I love everything about it, especially that you are hand quilting it...wow! Your quilt is fabulous Wendy, and it'll get my vote for sure! It's beautiful and the border fabric is stunning. Good Luck! Wow. That is marvelous. So many little pieces. 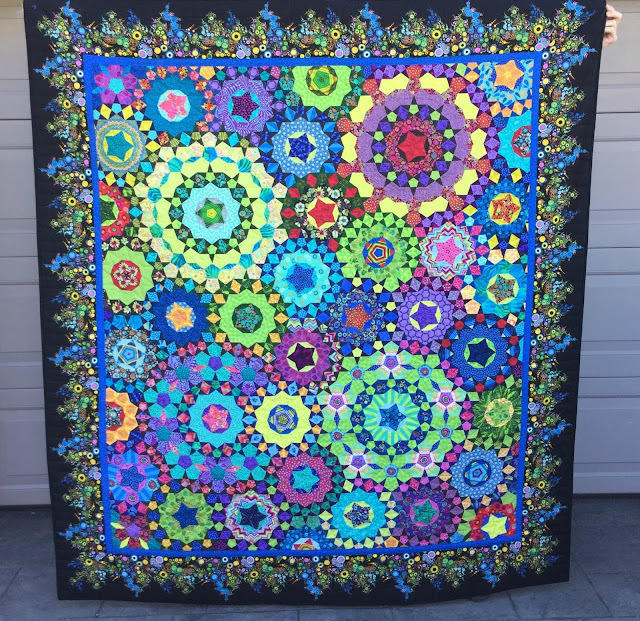 I am amazed that it only took you 18 months to make this gorgeous quilt, it would be a lifetime project for me! Absolutely stunning! Bravo, Wendy! I loved watching you make this quilt come to life and now seeing how it glows in the thumbnail (my favorite way to view a quilt before diving in to see the details). Beautiful quilt! The colors are just amazing. Beautiful quilt! I'm so glad I found your blog-I'm currently working on my own La Passa and I loved reading all your tips and tricks. I'm not even halfway done (don't worry, I'm still enjoying it:) but I've been trying to figure out how I want to quilt it. Your hand quilting is gorgeous and doesn't take away from all the hard work you put into the EPP. Love it! Your quilt is absolutely breathtaking! Your work is stunning! Great choice of thread colours for the hand quilting. It really enhanced the beautiful fabrics. It looks like you enjoyed every moment of making this work of art. I just love it! OMG it's beautiful, fabulous a masterpiece. Wow, hand sewn and hand quilted! What a work of art. WOW and WOW! This is one of those quilts that stop you in your tracks! Beautifully done! Gorgeous quilt and beautifully quilted! I love this quilt too! It's breathtaking! It was fun to see some of the fabrics you used. Lovely quilt. Lovely quilting and oh so inspiring! WOW! That is incredible quilt ! This is just gorgeous. Lovely piecing and lovely quilting. Thanks so much for sharing! This is an epic achievement - your beautiful work must have taken so much time and effort and the result is amazing. This is a stunning quilt. You are one talented quilter! Such a beautiful quilt!! Congratulations on the viewer's choice nomination. So well deserved. Wow! Your beautilful quilt must have taken a lot of time to complete, There are so many little blocks!! THEN add the fact that it is hand quilted! Gorgeous! Beautiful!!! 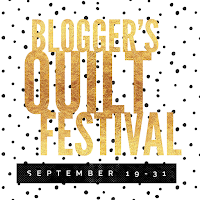 I had heard about your quilt thru blogland and was wondering what category it was in the festival. I would never have guessed it would be hand quilted too!!!. Very impressive. I don't know what the pattern looked like but what you did with it is spectacular. Oh my gosh! I love it! I'm only on my 4th of 5th cog, but you've given me some great ideas! la passacaglia - it's finished! !